Do you want to pump water from a shallow well? 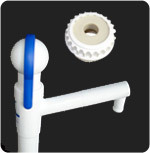 This PVC plastic hand pump is ideal for locations where there is no power, in an emergency or after a disaster. Villages without electricity are using Ezi-action® Shallow Well Pumps including in Mexico. Is available in kitset form. Is easy to install (up to 20 minutes). Pumps to a depth of 10 to 88ft. 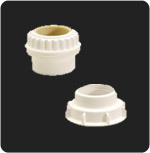 Is made from μPVC plastic making it lightweight and transportable. Requires no additional piping or plumbing. 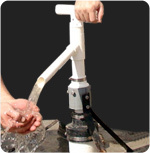 First developed as a village pump to draw water from shallow wells on the Pacific island of Tonga. 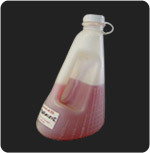 Available as a Kitset package or as components that can easily be glued together. 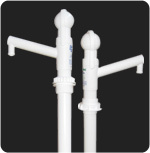 Pipe sections are connected by threaded joints for easy assembly and require only hand tightening. Made from uPVC so nothing to rust or corrode and it is light to handle. Low cost pump that has been thoroughly tested. 2 people will take between 15 and 20 minutes to install a 52ft pump. 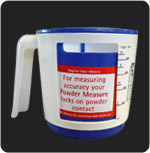 Advise us of your static water level and we can advise you of a price direct from the manufacturer.